It is not difficult to become a journalist. But it is not always easy to define exactly what a journalist is. Which does not make it easy for those who choose to spend three years and thousands of pounds learning how to become a journalist. 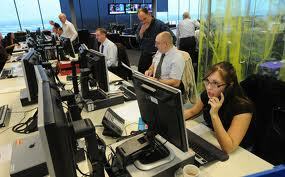 There are ever more universities and colleges offering journalism-related degree courses, which combine to flood the already saturated job market with ever more aspiring writers. It means that even the strongest of journalism graduates faces a struggle. Many of the apparent opportunities for new graduates, especially online, turn out to be blind alleys – websites of questionable journalistic merit, set-up by wannabe Murdochs without any publishing background, where the aim appears to be little more than getting access to their sporting heroes. “Starting a career in journalism,” wrote Ed Caesar in the Sunday Times, “has always been a crap shoot, and becoming successful is like finding Wonka’s golden ticket.” Caesar was referring principally to print media – the internet only complicates matters. I am one of those on the lip of the trench – a (sports) journalism student, soon to lumber over the top and into no-man’s land. Alongside my studies, I have trawled the internet in search of a chance of a leg-up, some bona fide practice, a byline. But, as this website detailed recently, there are more blind alleys than ever. Football Friends is a magazine which is due to be distributed outside Football League grounds next season, with a newsletter which “goes out to over 500 individuals within the media and football industry”. But on seeing the newsletter, I had serious doubt about how much I could hope to learn from a publishing venture which does not appear to concern itself with fundamentals such as spelling and grammar. When money’s on offer, real opportunities are even fewer and farther between. When the Mirror Group advertised to recruit three first jobbers to work on its new football website, they received 600 applications from young journalists eager to break in to the profession. All anecdotal evidence, though, points to exponential increase in publishing outlets seeking to recruit unpaid staff, through “internships” and work experience schemes. Nigel Brown, now editor of Sport.co.uk, says that he worked for nothing for a year after graduating with a Masters in Journalism from London College of Communication, something which in reality few recent graduates, already burdened with the debt from their student loans, could afford to do. Now, Brown’s website offers two-week work experience placements, often returning to LCC for candidates, which is a form of regulation in itself. “We don’t like to call it intern,” Brown said, “because it can be quite misleading. We offer work experience on two-week placements. Of Brown’s three staff, all of them got their introduction to sport.co.uk by originally taking work experience there. Sport.co.uk shows that it would be wrong for young hopefuls to ignore the benefits and opportunities which the internet holds. But it does seem that some other sports website owners interpret “virtual reality” in a different manner to non-virtual journalists. In his Sunday Times piece, Caesar charted the career path of seven 20somethings, all now employed by national newspapers. That in itself reveals much. Each case study recounts their own story of edging toward the top: cutting teeth on student publications, forcing feet into the doors of regionals, chances taken in the national press. Following my exceedingly limited forays to date – one day a week on the sports desk of a local paper – they are stories with which I am beginning to identify. For all the hype of the past decade or so of the “digital revolution”, there is nothing on the worldwideweb to match the experience which can be gleaned from the newsrooms of the Oldham Chronicle, the Grimsby Telegraph or the Diss Express. Online media hasn’t won yet.